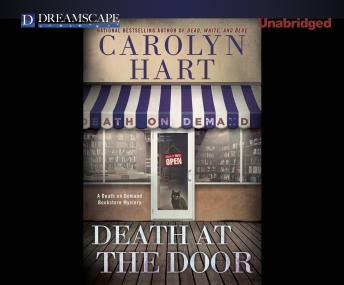 Annie Darling - owner of the mystery bookstore, Death on Demand - prefers fictional crimes as opposed to the real things. But in one tragic week, two acts of violence shake the island community of Broward's Rock. First, a beloved doctor is found shot dead, seemingly by his own hand. Only days later, a local artist is arrested after his wife is murdered. Convinced her brother did not commit suicide, the doctor's sister turns to Annie and her husband, Max, for help. She has found a cryptic sketch her brother drew, linking him with the murdered woman. With the police considering both cases as good as closed, it's up to Annie and Max to sort through a rogues' gallery of suspects to see if someone is trying to frame the artist.